Easy to use HR software for salons, spas and clinics from just £2 per user/month. increase accountability and keep everyone on track and on the same page. We’ve streamlined your HR tasks into one simple effective dashboard allowing you to keep your finger on the pulse with instant real-time access to vital team information from anywhere, at anytime. 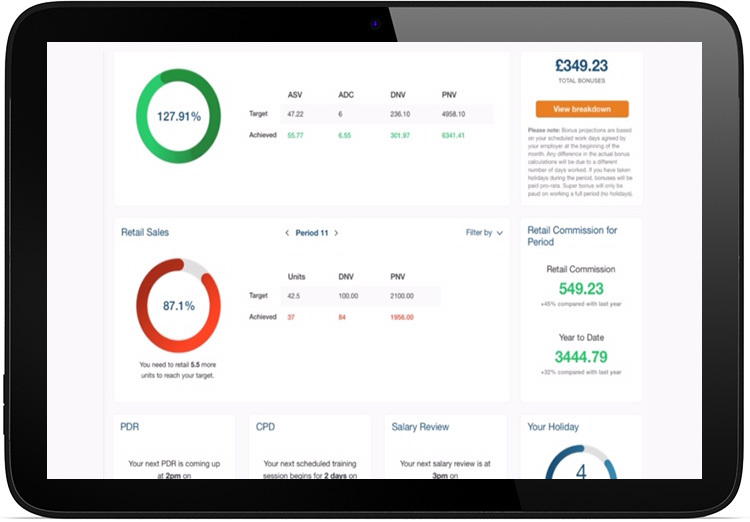 User-friendly features and visual graphs give at-a-glance reports including holidays, sickness alerts, individual and team sales performance, training (CPD), personal development reviews (PDR) and general HR data management. Our self-service Employee Dashboard puts the right information at your team’s fingertips. Employee actions feed directly back to the Manager Dashboard keeping everyone in the loop. Instant access for all your team – in salon, at home, on their phone – to their work schedules, personal sales targets and benchmarks, holiday and sickness records and notifications, PDR tracking and training (CPD) requests. Save time juggling work rotas, holidays and sickness absence with our centralised online system and calendar. Automated onboarding begins before your new employee starts ensuring they’re set up for success from day one. Security is our highest priority so you can trust Loop HR to keep you safe and legally compliant. Automated HR systems motivate employees, keep you legal and remove payroll headaches leaving you free to run your business. Centralise your HR with all your processes, documentation and systems in one online, safe and easy-to-view place. I love Loop HR, I rely on it totally. I don’t have to think about anything relating to numbers, the information is always there when I need it. 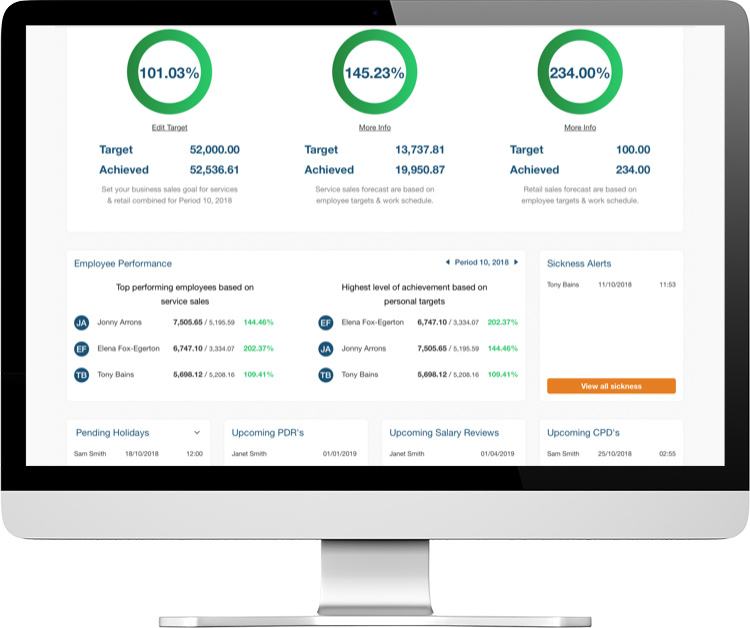 The performance pay system works really well for me and my team. The reports are clear and I can easily compare lots of different figures it’s fabulous. Wouldn’t want to run my salons without it!